How can a technique that is so simple to practice be so tremendously effective in its results? This is the question award-winning author Ann Purcell addresses in her new book, which examines the power of the Transcendental Meditation technique (TM) in bringing fulfillment to life. 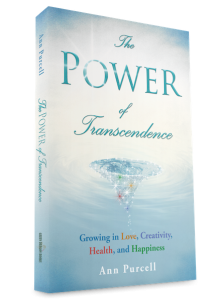 Through over fifty short articles, The Power of Transcendence explores a range of topics including health, education, the environment, women, creativity, relationships, and love, and shows how transcendence brings fulfillment to each area. Ms. Purcell also dives deeply into spiritual topics-yoga, enlightenment, silence, well-being, heaven, and God-as well as profound experiences of higher states of consciousness. Award winning author, musician, and poet Ann Purcell uses poetry to express the inner values of life. These profound principles are beautifully uplifting and spiritually profound. Ann Purcell began teaching meditation over 40 years ago. Along her journey she began writing poems to express and document her spiritual experiences, her own inner experience of transcendental consciousness, which was gained through daily practice of the Transcendental Meditation technique. These poems are inspired by the teachings of Maharishi Mahesh Yogi. 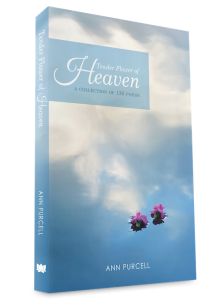 If you like the poetry of Emily Dickinson, Henry David Thoreau, and William Wordsworth then you will enjoy the profound nature of the poems in Tender Flower of Heaven. It is rare to find a poet who writes with such clarity, bringing out universal transcendent experiences that people have had throughout time. Enlightenment has fascinated people for millenia. 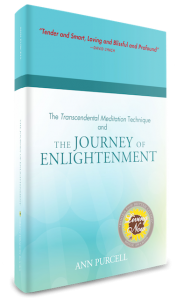 The Transcendental Meditation Technique and the Journey of Enlightenment follows the author’s journey on the path of enlightenment and also gives accounts of athletes, artists, musicians, and people from all walks of life who have had spontaneous experiences of higher states of consciousness. The Kindle version is also available, currently $2.99! Purchase the ebook here for ($1.99). Aside from Smashwords, the ebook is also available on your preferred tablet at Barnes & Noble, etc.